Prior to returning to his hometown of Hamilton, Bill DeJong pastored in Grande Prairie, AB and Kansas City, MO, USA. He has pastored Blessings Christian Church in Hamilton since 2015, the year it was launched. 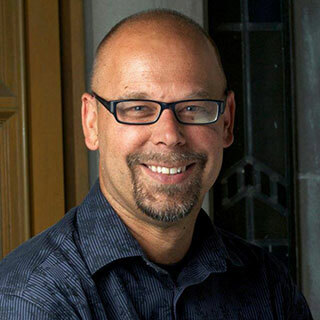 Obtaining a PhD from McMaster Divinity College in Hamilton, ON, in 2017, he remains active in the academy through occasional teaching at local universities and seminaries. The husband of Kim and the father of four sons, Pastor Bill loves philosophy, the music of Bach, the Hamilton Ticats, Locke Street, family time, and discovering new ways in which the life, death, and resurrection of Jesus brings hope to humanity.